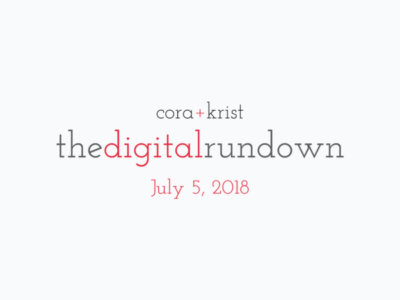 Welcome to The Digital Rundown. 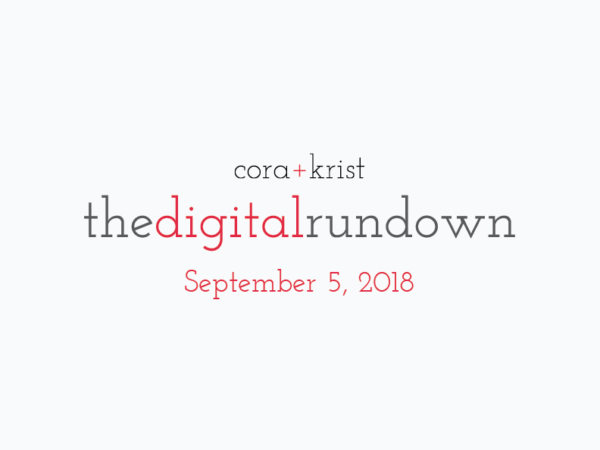 This is a new email series that we are rolling out to give you a glimpse into what is peaking our interest in the world of digital when it comes to marketing tactics, how to build your website and even technologies that help you run your day-to-day operations. WordPress 4.9.6 was released within the last few weeks and comes with GDPR compliance tools. Right on its heels is another release (4.9.7) set to provide any potential fixes. This would be a good time to again take a look at how you will be compliant with GDPR. Hackers continue to attempt to take down websites at a growing pace. Torque recently took a look at what the 3 common WordPress Attacks are and how you can stop them. Oh, and a reliable hosting provider is a key suggestion that we make quite often. Did you know that responsive isn’t necessarily all it takes to be mobile friendly? Brands are falling behind in looking at what their users really want in their mobile experiences and ensuring fast load speeds. Search Engine Journal took a closer look at what’s slowing you down in the world of mobile. If you’re a grown adult but created your Twitter account as a minor, they may soon lock you out. In a recent article published by Mashable, they explain why. Speaking of Twitter, they put out this super handy content calendar each year and if you haven’t downloaded it yet for 2018, well, what are you waiting for? It literally holds every special day, event, and notable whosit you may need to know about to ensure you have a post on the ready for any moment or occasion. Are you leveraging Reddit? If not, you may want to reconsider that move. Recently reported by The New Web, according to Alexa, the Amazon-owned web traffic analyzing platform, more people now visit Reddit than Facebook in the US. If you are attempting to drive your visibility through Twitter, they recently offered up some tips on how best to track your performance on Twitter. Here’s a hint, it’s not all about the vanity metrics. Instagram takeovers are all the rage. Find a notable influencer, hand over your password, and go! But how do you really do an effective takeover campaign? Forbes recently offered up 5 tips for doing this successfully. We think it’s worth the read. Are you following the next target audience? News flash teens are dumping Facebook and heading to YouTube and Instagram is losing ground to Snapchat. TechCrunch gives you a glimpse at where the next generation of buyers is heading. You spend a lot on paid search and social ads, and conversions are likely the one thing you’d like to see more of (who wouldn’t). Torque looked at several items that you really need to consider for your website if you want to convince people to take action. Spoiler alert, real customer feedback is everything. Know you want to do something with AdWords, but not sure where to start? Elegant Themes has a post out that gives a pretty good overview of what the basics are. But be warned, AdWords can be tricky and it’s not always all its cracked up to be. Google is constantly making changes to the way they approach their coveted search algorithm and keeping on top of these changes can be tiresome. Our go-to SEO tool for our small business WordPress websites, Yoast, had some interesting perspective on a recent change in shortened meta descriptions. Just Breath and Relax! Focus on the quality, not necessarily constantly tweaking for results. Yelp, Google, and Facebook reviews can be a great way to drive authority and credibility for your business and website presence. But, per the New York Post, one woman learned that writing a negative review can land you in a heap of hot water and thousands of dollars in legal fees. Let’s just keep to the old rule that if you can’t say something nice, don’t say anything at all. Speaking of negative reviews, even nature can’t seem to get away from a bad rap. According to a report from Gizmodo, we’re possibly ruining everything with our obsession to review. See below about Canada’s Nelson River. This site will show you the most popular songs from the year you graduated and it’s a real trip down memory lane. If you want to find out what I was likely listening to, just hit 1998.